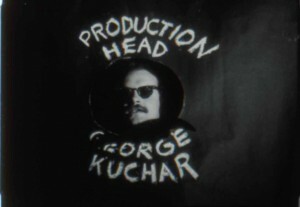 We are very sad to report filmmaker & friend George Kuchar has passed away. George and his twin brother Mike just celebrated their 69th birthday last week. George and Mike started making films in the Bronx when they were kids. Inspired by the melodrama of Hollywood, by the weather, aliens, interesting looking people, etc., the brothers created fantastical, hilarious, beautiful works on 8mm and later on 16mm. They became involved with the NYC avant garde scene in the 1960s. When small format video became a viable alternative to the more expensive 16mm, the brothers switched formats and didn’t look back. Both have continued to regularly produce personal pictures. George taught a film-making course at the San Francisco Art Institute from 1971 until this past semester, producing a film with his students for each course. These collaborations are fascinating time capsules, as well as terrific documents of how the imagination of an inspiring professor can really drive the creativity of a course. The HFA has many of these student films in its collection, and recently acquired the video work associated with the class. George Kuchar visited the Boston area several times over the years, and his generosity and affability are well known here. 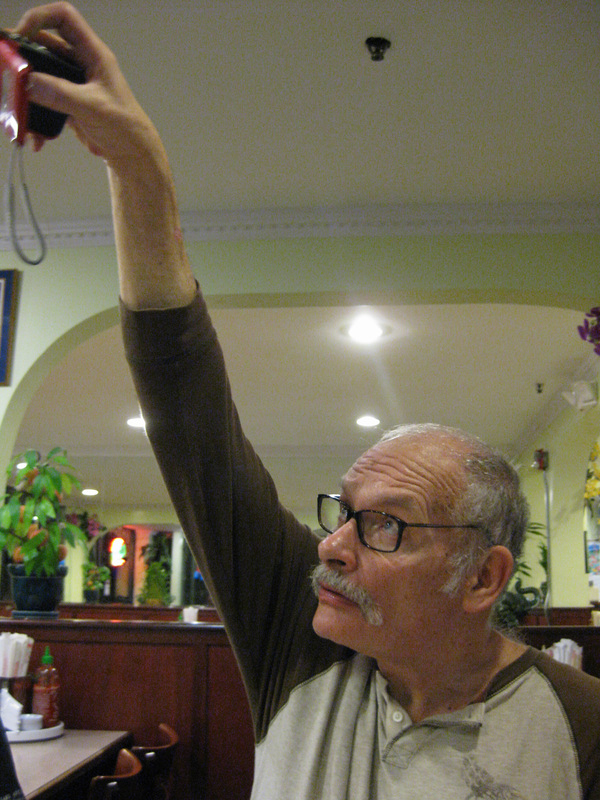 He was an extremely inspiring filmmaker, advising students and other interested parties that all that was needed to become a filmmaker was to get your mits on a camera, read the instruction manual, and make a picture. During his 2010 visit to the HFA, George shot some video that later wound up in his diary movie ZEALOTS OF THE ZINC ZONE. We are honored to be documented by the great George Kuchar himself and hope to preserve his memory the way he has preserved ours. 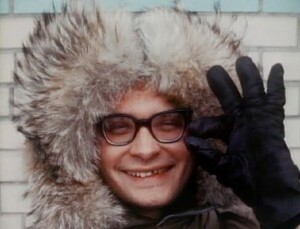 Anthology Film Archives has restored the Kuchars’ teenage 8mm offerings as well as some of the brothers’ later works. The Pacific Film Archive has preserved several of George’s titles, including the famed I, AN ACTRESS. The Harvard Film Archive, which also houses some of George’s work, has been working to preserve some films he made with his students, some of which showed in a program here last year, and all three institutions continue to collaborate on Kuchar preservation projects. The HFA was pleased to show some of George’s WEATHER DIARIES last month, including his last film, HOTSPELL, which documents his annual weather-chasing trip to Oklahoma this past May. George, who was too sick to make the trip to the East coast, offered to do an introduction and Q&A via Skype, which was a really moving experience. We recorded the event and hope to put it online soon. Stay tuned! The HFA recently acquired George’s video masters, which includes his student collaboration movies, The Weather Diaries, and other diary videos. We are honored to have expanded our collection of George’s work, which is available for rental to screening venues through such institutions as Canyon Cinema and Video Data Bank. We hope to present more of George’s work at our cinematheque next summer, including new 16mm preservation prints of student films THE CARNAL BIPEDS (1973) and CLUB VATICAN (1984). George will be missed by friends, students, and archivists. Our heart goes out to Mike. There is a lot of information about the Kuchars on the web. In memory of George, read more about him and watch some of his pictures. He was a unique person whose like will not be seen again.